Those who know me know that I’m very up tight about remaining organized. I catalogue and then throw away all papers. 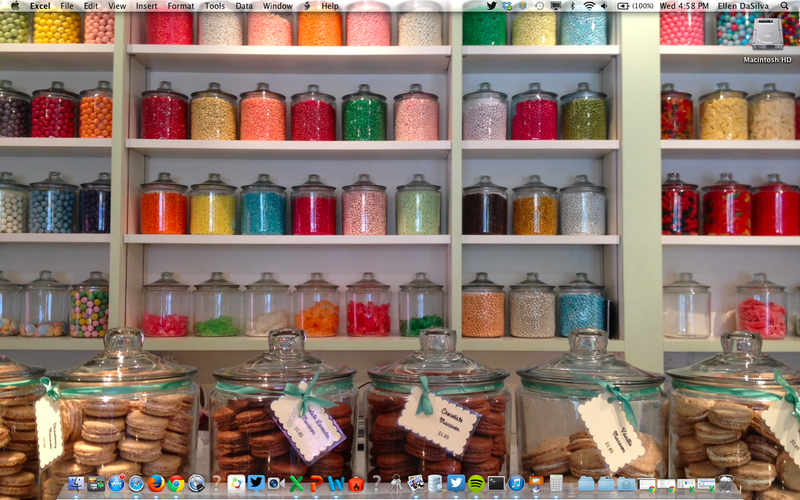 My desktop is empty (picture as evidence!). I delete a lot of files after I’ve used them, and I generally eschew clutter. But there are plenty of tools and tips I follow in order to maintain digital cleanliness and organization. I find that these also make me more productive and manage my time and space. 1. Create folders for everything with a file hierarchy: While this could be true for physical papers, ensure this is true for your files. For example, I work in Business Ops at Twitter. I have a folder in my “Documents” called “Business Ops.” Underneath that, I have several folders for different types of projects. Within those, I have folders with every project name and those contain all of the files relevant to that project. Folders should be as specific as possible and only contain files directly relevant to the title of the folder. 2. Use Box: why store anything locally? Whether you’re using a personal computer, borrowing a friend’s laptop for a moment or giving a presentation on a company’s hardware, none of your files should be stored locally. It’s a risk and a waste of time. As long as you keep your drive orderly, it will ensure longevity of your files. Plus, if you download their sweet new mobile app they give you 50GBs of storage. 3. Keep a to-do list: I use the tasks widget on Google labs so that my to-do list is always present. Keep it up-to-date (I update mine every morning) and don’t be bashful about crossing things off the list as you complete them. Occasionally, it’s nice to look back and see a list with most of it crossed off. 4. Throw away what you don’t use: don’t keep unnecessary papers or files. If you think you’re going to use them again, store them in their proper place. And clean out your “downloads” folder. There’s probably a haunted-house worth of spookiness in there. 5. Unsubscribe from anything you don’t care about: Those emails from that time you randomly donated to that half-marathon your friend ran? Go away. I use unroll.me to cleanse my inbox, but I actually did a purge and unsubscribed to just about everything. I have achieved inbox zen and I am much better at responding to emails that come directly to me as a result. For the record, I am not a huge fan of Gmail’s new inbox layout with the separate tabs, but so be it. 6. Add every engagement directly to your calendar: I used to be a huge flake because I didn’t write anything down. Now, I use super.cc to include everything I could ever need to my calendar. I’m much better about planning, even the casual coffees and meetings. There are tons of other sources and tips for keeping organized and I’d love to hear them. Tweet @ me @ellenjdasilva or comment here if you have thoughts.